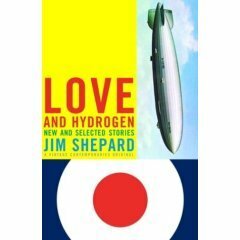 LOVE AND HYDROGEN. Jim Shepard. "This is one of the most important collections in years, because Shepard does so many things that are all too rare in the medium. He gives us red-blooded characters who leave the living room and fly, kayak, dive, search and emerge from swamps to devour unwitting campers. Stories about dissolving marriages are fine, but how about tweo gay engineers on the Hinderberg? On a 19th century searching for a giant half-shark/half-whale?. These are uniformly bold and exhilarating stories. Let's hope Shepard becomes as influential as he should be. He's the best we've got".